Strong in the air, unyielding in the tackle and fast over the ground, he has been blessed with the kind of natural talent that cannot be acquired by hard work. Of course, his strength and athleticism has been honed by a widely admired level of professionalism and prodigious efforts on the training ground. 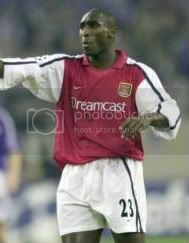 It was this combination of attributes that saw Sol become one of football's most coveted players when his contract ran out in the summer of 2001. Sol's decision to follow the path across North London trodden by Willie Young and Pat Jennings in the 1970's was, inevitably, controversial. However, he showed he had the character and mental strength to match his ability when he made his first appearance as an Arsenal player against Tottenham Hotspur in November 2001. His impeccable display was the perfect answer to his critics and he played with a calm authority that belied the emotionally charged atmosphere at White Hart Lane that day. Sol continued to impress during his second season as an Arsenal player. 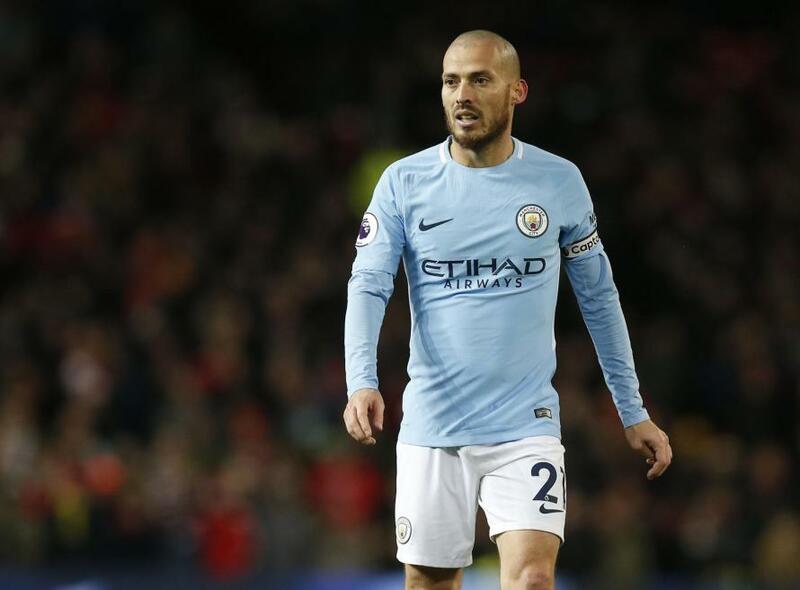 He would miss the FA Cup final win against Southampton in May through suspension, but his contribution to another Cup success was not underestimated by his team-mates. He is the only player to have played for England in six consecutive major tournaments. I reckon it's just me, but was he really in possession of a touch this dreadful? What about his header, too low, I´d say. 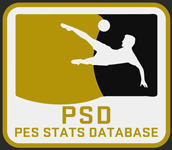 He scored countless headers, and most of them were crucial, like that one in the 2002 WC, against Brazil or the one in the 2004-2005 CL against Ronaldinho´s Barcelona, incredible jump and header technique, I think these numbers are way too low. I´d suggest Header-91, jump-86, considering his height and BB. i agree technique could come up a bit and jump as well, about heading i think it's fine, his BB will help a lot. p1rha wrote: i agree technique could come up a bit and jump as well, about heading i think it's fine, his BB will help a lot. it'll help him in aerial challenges though won't it? i thought BB did that? obviously the accuracy of his heading won't be effected but..
Now here's something important: if the player is not under physical pressure (unlike nearly every time u head a ball from a corner) then it's acuracy won't be afected by his BB. But if the players is being pushed then BB will be important for his eficiency as a player with high BB can withstand that pressure much better and hit the ball properly. This goes both for headers and shots. Exactly, then if he isn´t under pressure, his BB will not be of much use, right? Fevernova wrote: Exactly, then if he isn´t under pressure, his BB will not be of much use, right? no what so ever i guess. Anyway, what exactly do u desagree then? Personally i think he scored many of his headers by buldozing his markers, wich can be very efective in game, particulary on corners. And 88 is a very good value, he's not on par with Terry, Vidic or Fernando Couto in terms of accuracy imo. Are you suggesting that Sol Campbell hasn't got a phenomenal physical presence? Because if so, you would be very, very wrong. Frankly, not even I know WTF I was talking about in that particular moment, haha. Last edited by HENRY14EVER on 2013 Nov 09, 13:43, edited 1 time in total. I don't think there merits a 4 points difference in defense between Sol Campbell and John Terry in their prime. His response can go up and few points too considering that he is one of the best tackler in the premier league, better than Terry and Ferdinand. Mentality can easily go up to high 80s too. Cmon guys we are talking about Sol Campbell in his prime and he was the best defender in England during that time. These stats needs a tweak. Please add sliding star too. His defense is not worse than current Vidic or 4 points away from prime Terry. His response should be higher to make him a better tackler. I think mentality at 84 is too low too comparing to prime Ferdinand. He definitely has more mentality than Ferdinand. I suggest 87/88. I can agree with sliding, it is a must. As we know now he, he was very fast in the long run, not so much in the short? We need to re-do his speed stats. Last edited by the sloth on 2013 Oct 06, 19:03, edited 1 time in total. Good to see your input in the classic section the sloth, much appericated. I'm kinda hesitant to give him such high TS. 88 TS with 96 BB... that will be just too much in game. I could go for a value around the 85/86 mark so hes defintly fast, but not world beater fast. What sort of value are you thinking for ACC? I think 76 or so should be good.